We would all like our wedding dress to fit like a dream but as we know wedding dresses are not made to your exact measurements by the designers. So it’s very rare that a wedding dress will fit perfectly without a few alterations. If you look around you: you and your bestie might be the same size, but the same dress will look completely different on both of you, as your figures are different. 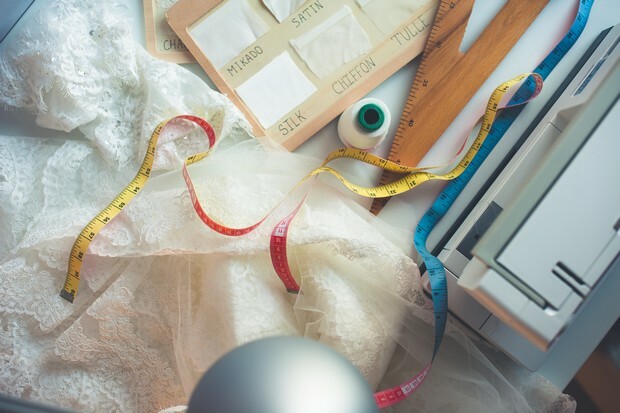 We’ve caught up with Katerina from Vanila Wedding Boutique in Dubai to give us some top tips on what NOT to do when altering your dream dress. Let’s see what she has to say…. 1. Don’t change the initial dress design. The designers are dictating the latest trends in bridal fashion so trust them on what they have to offer. They know exactly how to combine the fabrics to create stunning gowns. There will always be a reason why designers created this type of neck-line with this type of back design, or why this type of dress can only have a zipper on the side and not on the back. 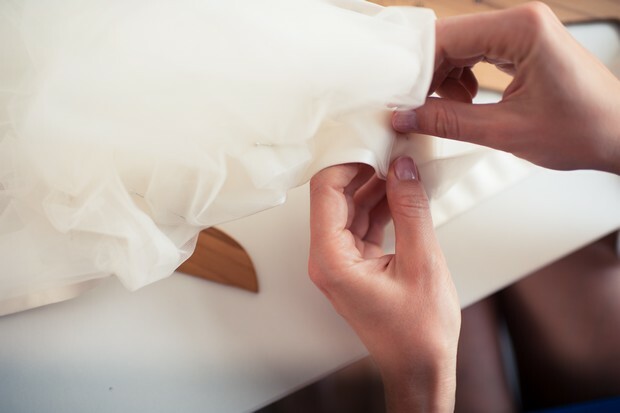 Professional stylists and seamstresses will of course recommend and explain what can or can’t be done to your dress. Dress length and corset fitting are the most common changes and are considered to be standard. However some things just can’t be done to certain styles or with certain fabrics like tulle or cremona. Altering a dress considerably will always be a risk, as how you imagined it to be and what can actually be done may differ. Seamstresses are somewhat magicians, and wedding dresses are created by fairies, I agree, but there is always physics behind every fabric, unfortunately some things just can’t happen. 2. Don’t be afraid to lose weight. Don’t be afraid to lose weight whilst searching for your wedding dress. Many brides may plan to lose weight before their wedding but this shouldn’t stop you shopping for that dream dress. 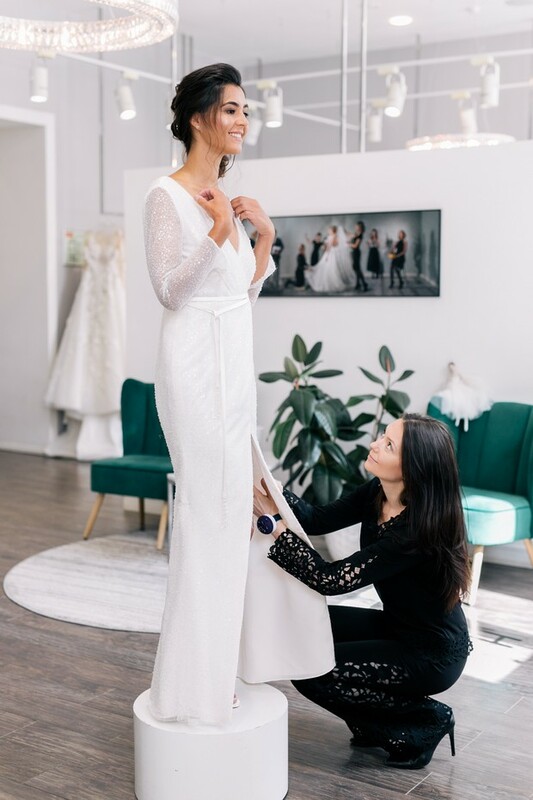 Dress alterations are usually done 1 month before your wedding date so if you do lose weight, you will be only losing in measurements, but your overall form will stay the same. So that dress that looked stunning for your shape – still will! 3. Don’t order a dress smaller than your current size. If you are ordering a dress but planning to lose weight, never order a size smaller than you are at the moment of the purchase. You might end up not losing weight (or as much weight as planned) which will be already disappointing, and the dress will arrive in a smaller size and will still need to be altered. It’s much easier to make a dress smaller than try to increase the size. 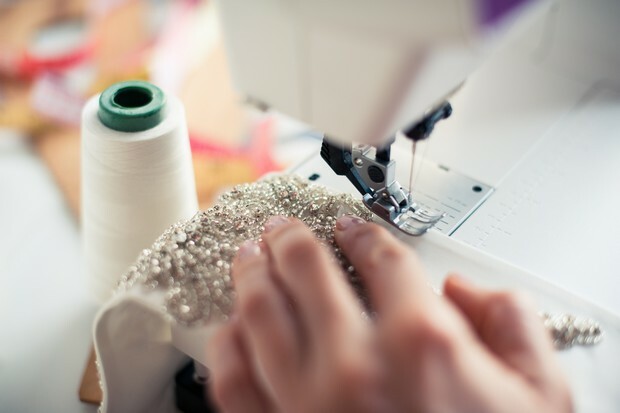 It can take time for a dress to be ordered, delivered and altered so make sure you leave enough time and plan accordingly. 4. Don’t do BIG size difference alterations without seamstress’ consultation. Most boutiques stock 1 or 2 sizes for each dress and they will be the average size specific region of sales: the US will have completely different sizes from France and so on. That’s why some brides may have to alter the dress to their measurements by more than 2 sizes. The majority of well-known brands have extra fabric imbedded into the seams to be able to enlarge the original dress by up to 2 sizes. A corset lacing back also helps to adjust the size of the dress which is much easier than a zipper. However if the dress is more than 3 sizes too small or big then more work needs to be done to alter for that perfect fit and for this you would need a separate consultation with a seamstress. If you’re petite make sure you take advise before ordering your dress as alterations can change some design elements of the original dress. 5. Don’t forget your bridal shoes and petticoats for your final fitting. Neither seamstress nor boutique will take responsibility for altering the length of the dress without the final heel. You can imagine how important this is! Getting the dress length cut too short could be a disaster which can sometimes be impossible to solve. Petticoats can sometime save the situation if the dress is slightly too long as the petticoat ring can give you the lift you need. So trying the dress on without a petticoat while altering the length is also a big mistake. Bear these things in mind while purchasing the dress, always consult the seamstress and most of all enjoy your fittings. Vanila Wedding Boutique offers basic alterations free of charge and will do everything possible from their side so your dress fits perfectly. To find out more pop over to their website or if you have any questions please Whatsapp +971 50 783 8585.